A few weeks ago, I was in Miami working with students at the Little Haiti Cultural Center creating energy exhibit prototypes in a week-long program called "Energy Jam." A flexible challenge like this was a great place to start the prototyping process, since it gave each group a chance to start "solving problems with materials" --- which to me is a great way to describe the prototyping/tinkering process. Although we focused on lots of practical engineering and iterative testing of the energy prototypes, we also wanted the students to focus on the creative/artistic aspects of design as well. 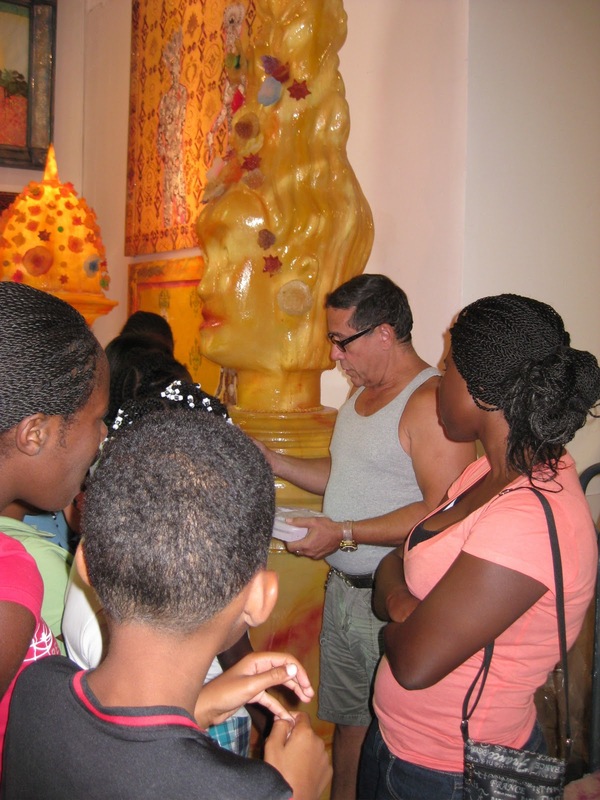 Fortunately, the studio of the amazing Haitian artist, Edouard Duval Carrie, was right next store. Edouard graciously gave us a tour of his workspaces and described his artistic process, as well as providing input and advice during the week as the prototypes came together. Finally, on Friday each group was able to show off the results of their labors in a sort of "Prototype Fair" where friends, family, and local community members (and the Miami Herald!) were able to learn about and try out the exhibit prototypes. Even the students who were not "science fans" at the beginning of the week, grudgingly admitted that "science was pretty cool" after a week of hands-on prototyping. Ultimately, all the prototypes will be put on display at the Miami Science Museum, and all the Energy Jam participants and their families will be invited for a free trip and celebration at the museum to recognize their work. 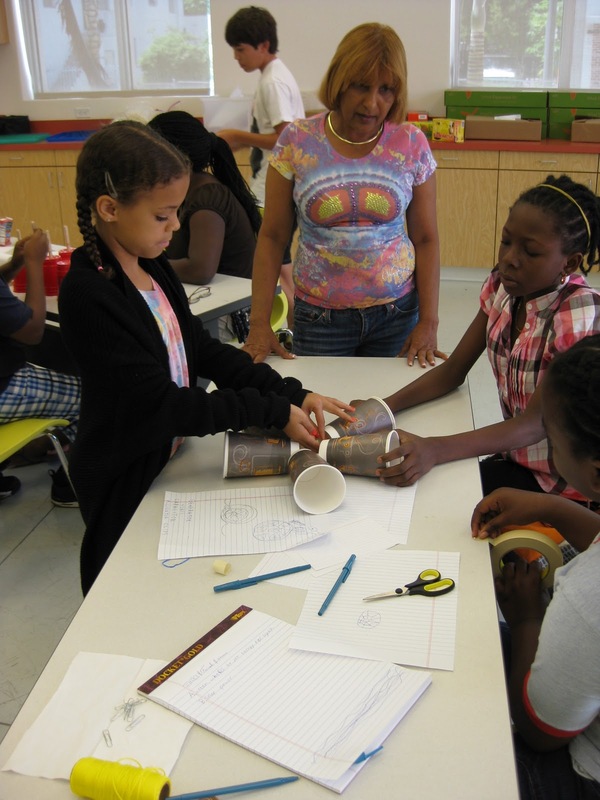 In addition, the Museum plans to utilize the prototypes and student ideas into future energy exhibit ideas. The biggest take-away for me when I work on a project like this (I've done similar things in the UK and Chattanooga, for example) is the range of wonderful ideas (and functional end products!) that come through in a 5 day prototyping push. It is well worth it to make the time to include more early prototyping into your exhibit development schedules --- who knows how much it will "energize" your exhibit team? Not sure, but you may have crossed the line here. This was clearly way too much fun. What a great project. As always, thanks for sharing.